Millions of lives were at stake. Hillary Clinton was on board. Money poured in. And yet the big aims behind an effort to tackle the plague of third-world cooking fires has produced only modest gains. For many decades, it was one of the globe’s most underappreciated health menaces: household pollution in developing countries, much of it smoke from cooking fires. The dangerous smoke — from wood, dung or charcoal fires used by 3 billion people in villages and slums across Africa, Central America and Asia — was estimated by health officials to shorten millions of lives every year. The World Health Organization in 2004 labeled household pollution, “The Killer in the Kitchen.” Women and children nearest the hearth paid the greatest price. If the health costs were not ominous enough, many environmental advocates worried that what was known as “biomass” cooking also had potentially grave consequences for the planet’s climate. Emissions from the fires were contributing to global warming, it was feared, and the harvesting of wood for cooking was helping to diminish forests, one of nature’s carbon-absorbing bulwarks against greenhouse gases. In 2010, the Global Alliance for Clean Cookstoves was formed to help mount a sustained effort at tackling the threats posed by household pollution. The alliance pledged to help engineer the distribution of 100 million cookstoves, small-scale appliances designed to cut fuel use and toxic emissions in impoverished households worldwide by 2020. The United Nations Foundation was a founding partner in the effort. Hillary Clinton, then the U.S. Secretary of State, lent the support of the American government, promising money and the resources of a handful of agencies. “Millions of lives could be saved and improved,” Clinton said when the alliance’s formation was announced, adding that clean stoves could be as transformative as vaccines. Eight years and $75 million later, however, the Alliance has fallen well short of its ambitious health and climate goals. An array of studies, including some financed by the Alliance itself, have shown that the millions of biomass cookstoves of the kind sold or distributed in the effort do not perform well enough in the field to reduce users’ risk of deadly illnesses like heart disease and pneumonia. The stoves also have not delivered much in the way of climate benefits. It turns out emissions from cooking fires were less of a warming threat than feared, and that — outside of some de-forestation hot spots — the harvesting of wood for cooking fires only modestly reduces the sustainability of forests. 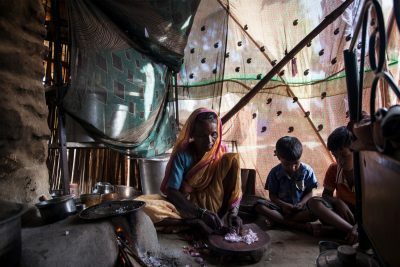 The lack of impact on a warming planet, in turn, has undercut the Alliance’s plan to raise additional millions in investments from corporations eager to underwrite the cookstove movement as a way of compensating for their own emissions or polishing their records for environmental responsibility. The Alliance’s top officials do not dispute that they have met with an array of disappointments. For one thing, they said, some of the countries and companies that pledged tens of millions of dollars early on failed to deliver, which they blamed on shifting priorities and agendas, not the Alliance’s struggles. Kip Patrick, the Alliance’s senior director of global partnerships and communications, pointed to the effort’s benefits, saying the millions of biomass stoves distributed so far have cut the time women spend foraging for wood and costs to poor households of purchasing fuels such as charcoal. Patrick added that the Alliance had acknowledged its disappointing initial results and adjusted its strategy for going forward. The Alliance’s plans for the future come with something of an ironic twist: It will now make greater efforts to promote and distribute stoves that use propane, a fossil fuel, the same blue-flamed byproduct of gas drilling contained in cylinders under countless American backyard grills. (Outside of the U.S. propane is most commonly called liquefied petroleum gas, or lpg.) These stoves, it turns out, burn much more cleanly and efficiently than nearly all biomass stoves, reducing the harmful smoke given off during cooking while having a negligible impact on the climate. Reid Detchon, the United Nations Foundation’s vice president for energy and climate strategy, said he, too, supports the push behind propane, though he acknowledged that, on the global scale, the foundation has a bias toward promoting renewable energy. Kirk R. Smith, a professor of global environmental health at the University of California, Berkeley, who has likely done more work on the health effects of cooking pollution in the developing world than anyone, said the Alliance’s setbacks reflected “a classic issue of identifying a problem and thinking you know the solution just because you know the problem.” Previous tries by outsiders to reinvent how the developing world cooks also yielded little, he acknowledged. Public health researchers have long had concerns about the dangers of open cooking fires. When fuel is burned inefficiently — particularly hunks of solid fuel, like wood or dried dung — it produces a dizzying and dangerous array of noxious gases and particles containing traces of dozens of toxic constituents. The main worry is with the tiniest motes — known as PM 2.5, particulate matter smaller than 2.5 microns across. (An average human hair is 70 microns across.) These particles penetrate deeply into the lungs, and the smallest, as recent research shows, can cross into the bloodstream. One of the earliest hints that rural cooking smoke was causing significant illness came in a 1959 paper written by the pioneering Indian cardiologist Sivaramakrishna Iyer Padmavati (who, at 101, is still practicing). Padmavati and her collaborators were weighing possible causes of cor pulmonale, a failure of the right side of the heart linked to lung problems. The majority of cases were not city residents, according to the study. A vast body of literature has accrued since, linking smoke from cooking on solid fuels to a host of diseases, with India’s toll alone estimated by some at from 1.1 million to 1.4 million premature deaths a year. It is a global loss of life that, by some estimates, is greater than that from all the air pollution from fossil fuels burned in power plants, factories and traffic jams. 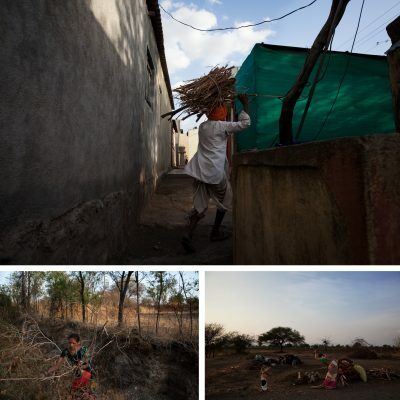 The threat can be appreciated inside Sulabai Dhavkar’s home on the outskirts of Taleran, a village nestled against the Sahyadri, the Benevolent Mountains, 60 miles east of Mumbai in India’s Maharashtra state. The sculpted clay stove in the home — visited last summer by ProPublica — remains a prized fixture on the hearths of more than 150 million Indian households. The wood for the stove comes from a pile near the house collected from surrounding scrub and forests and the bluish smoke that rises once the fire is lit engulfs Dhavkar. She spends hours in it as she cooks the morning meal and then repeats the experience at dinnertime. Starting around 2000, worry about the dangers lurking in homes like Dhavkar’s began to resonate more widely. 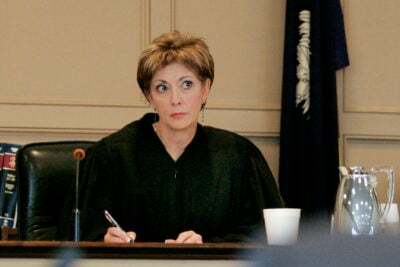 Early in President George W. Bush’s administration, the State Department and Environmental Protection Agency launched the Partnership for Clean Indoor Air. New designs for stoves that could burn the world’s oldest fuels more cleanly came from nonprofit organizations, academics and entrepreneurs who had been exploring how improved technology could curb deforestation or address the challenges of rural poverty. Cookstoves seemed like an affordable and effective answer to the “Killer in the Kitchen.” The appliances, some as small as a Crock-Pot and costing as little as $25 — gained wider currency in December 2009, when The New Yorker magazine ran an article by Burkhard Bilger subtitled “the quest for a stove that can save the world.” The article centered on “Stove Camp” — an annual retreat in Oregon at which the engineers and entrepreneurs at the heart of the burgeoning cookstove movement refined their designs. In the first two years of the Obama administration, an effort bringing together government efforts and private partners felt like a logical next step. The goal of distributing 100 million stoves by 2020 was audacious, some of the initiative’s developers cautioned, but the Alliance’s partners were impressive and deep-pocketed. A base of operations was offered by the U.N. Foundation, the charity created in 1997 with a billion-dollar pledge from Ted Turner. The Obama administration committed more than $50 million over five years to test stoves and spur innovation on cleaner designs. Another $10 million came in initial commitments from partners including the governments of Germany and Norway. 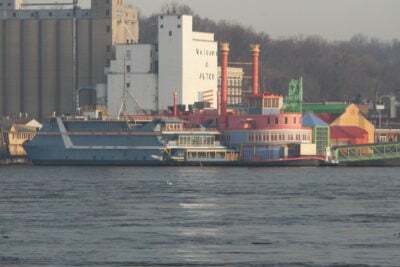 The oil and gas giant Shell eventually ponied up a total of $13 million, with more money and support coming from its independent philanthropic foundation. Morgan Stanley, the investment bank, added an unspecified financial contribution from the company’s charitable foundation to help underwrite a study assessing the benefits of low-emission biomass-burning stoves on pneumonia rates and birthweight. The Alliance’s coming out party took place at the sixth meeting of the Clinton Global Initiative, an annual showcase and fundraising effort for anti-poverty projects built around the allure of the former president and first lady. At the New York Sheraton in late September 2010, Hillary Clinton spelled out the costs in lives and women’s time and welfare from persistent reliance on smoky cooking fires. Clinton credited past efforts involving cookstoves, but noted most had faltered. She stressed that one of the things that would distinguish the Alliance’s approach would be a concentrated and rigorous push to make sure families that obtained stoves actually used them, and used them properly. Representatives for Clinton and the Clinton Global Initiative did not answer questions about the Alliance’s work. Within two years of the Alliance’s launch, evidence began to emerge suggesting its plan for biomass stoves improving health outcomes wasn’t working. The Alliance’s own records make clear that of the tens of millions of stoves its members sold or distributed, only 2 million were biomass stoves that met the standard it set for “clean.” And that standard, while a great improvement over an open, unvented fire, was still akin to secondhand smoke produced by burning 40 cigarettes an hour in a home. In interviews, scientists credited the Alliance for drawing attention and funding to the vast, underappreciated toll from cooking pollution. But some worried that the smoky standard for “clean” stoves was a regrettable compromise that flew in the face of established research about what was necessary to achieve a genuine health impact. In my first episode of this PBS Digital Studios show, I dissect why minorities and disadvantaged people will face bigger consequences in a warming world. And too few of the stoves — clean or not — wound up being effectively and consistently used in poor households from Africa to South America. It was precisely the shortcoming Clinton had identified as having frustrated earlier cookstove efforts. 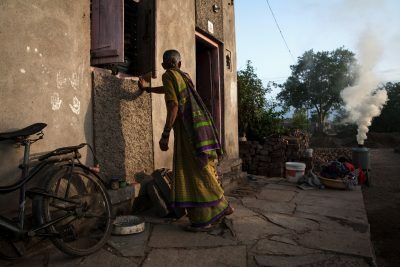 In 2013, Nandal, a village of 2,900 residents 130 miles southeast of Mumbai, had been proclaimed a “smoke-free village” after about 500 cookstoves were installed in homes under a project underwritten by Cummins, an Indiana-based manufacturer of diesel and alternative energy engines and related equipment. A year later, a report in Nature magazine found the stoves weren’t being used. ProPublica found much the same thing last year. 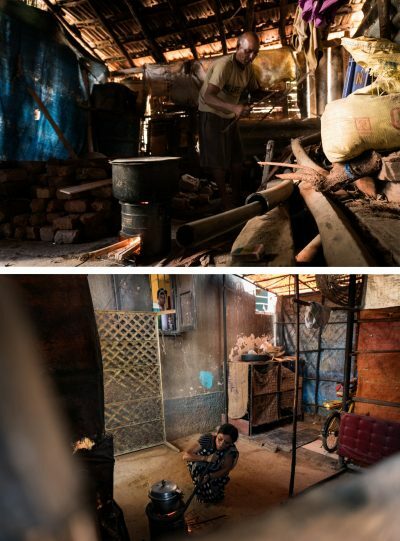 In one home, Sonali Maalan Kolekar explained that the new stove just didn’t perform like her old one. “This one does things fast,” she said in Hindi, reaching to her left without breaking eye contact and nudging a handful of twigs further into the family’s age-old chulha, a hand-sculpted open-topped clay perch for a pot or two. Sparks flew, smoke rose and rice boiled. “That one does it too slowly,” she added, gesturing behind her toward the abandoned newer stove. One study after another has found that the experience in Nandal has been replicated everywhere. Early on, the Alliance had said it would only count a stove as distributed if it had proof it was being used correctly and regularly in an actual home. Today, the Alliance says it counts every stove it sends out as distributed, whether it’s being used or not. Patrick, the Alliance communications official, said making sure stoves are actually being “adopted” into everyday use is hard and expensive, but that he hoped the Alliance would have numbers on how many stoves are regularly being used by 2020. In 2012, the Alliance funded a study in Ghana by Darby Jack, an assistant professor of environmental health sciences at Columbia University’s School of Public Health, that, in part, would measure if the biomass cookstoves had improved health outcomes for women and children. In particular, Jack looked for changes in rates of pneumonia, the Alliance’s top health target. The study is not yet final, but Jack said the basics of kitchen pollution science are clear-cut from his work and that of many other scientists. Other research has cast doubt on whether cookstoves have done much to improve environmental damage linked to traditional cooking fires. By some estimates, traditional cooking fires contribute about 1 billion tons a year to global emissions of carbon dioxide and other greenhouse gases — a small but substantial slice of the annual total. Moreover, studies have shown cooking fires — particularly in South Asia — also produce a dark sooty smoke called black carbon that both warms the climate and darkens glaciers and snowfields, accelerating their melting. A scientific review published in 2013 concluded that black carbon was second only to carbon dioxide in exerting a warming push on climate and that biomass cooking fires produced about a quarter of human emissions of this pollutant. So far, the science suggests cookstoves help with this in some ways and hurt in others. A 2016 study showed some “improved biomass” cookstoves actually produced greater emissions of black carbon than open fires, but also, in certain conditions and in certain seasons, produced another set of emissions that, surprisingly, had a cooling effect on the climate. The Alliance’s own research has shown that the proportion of non-renewable wood harvested for traditional cooking fires was far smaller than previously thought, thereby limiting cookstoves’ other main environmental benefit — reducing deforestation. The Alliance had been hoping to persuade wealthy individuals and corporations to invest in the cookstove distribution effort as a way to offset their carbon footprints. Their investments, in turn, could be used to bolster the number and quality of start-up companies building cookstoves around the world. But the market for so-called “carbon credits” never really materialized. The reasons were many, but the fact that cookstoves weren’t having a clear, dramatic effect on the climate limited their appeal. In 2018, cooking fires remain a global problem not much dented by the biomass stove efforts. The percentage of the population with access to clean cooking grew almost imperceptibly from 2010 to 2016, according to research conducted in part by the United Nations and World Health Organization. A report by the International Energy Agency cited high fertility rates and persistent poverty in many Sub-Saharan countries as among the reasons for the scant progress. 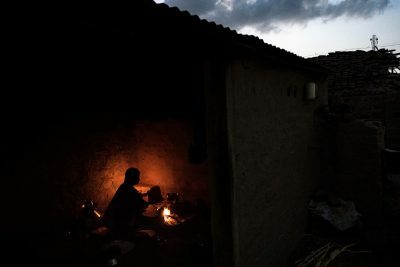 The Alliance has called these and other recent reports “sobering,” and said it and others concerned about household pollution still faced “an enormous challenge.” Officials say they remain optimistic, however, based in part on breakthroughs in the most recent generation of biomass cookstoves. And the Alliance says continuing to provide biomass stoves is worthwhile because so many people won’t have access to propane anytime soon. “The short answers is we’d love to be further along, but I think there’s a lot of innovation out there,” said Patrick. The Alliance’s goal now, he said, is to get people the best stoves possible and encourage families to use improved stoves as a substitute for old-fashioned cooking fires instead of a supplement to them. To accomplish these ends, the Alliance and others are more openly supporting stoves that use propane. The Alliance’s website and newsletters feature more propane stoves, which make up the vast majority of appliances that meet standards for being “clean.” The charitable foundation of Shell Oil Corporation, a major Alliance supporter, has shifted in its own efforts to underwriting more pilot projects involving propane stoves. Pradeep Pursnani, deputy director of the Shell Foundation, said the delay in embracing propane made sense early on — most of the target users were accustomed to cooking on stoves that burned charcoal or wood. 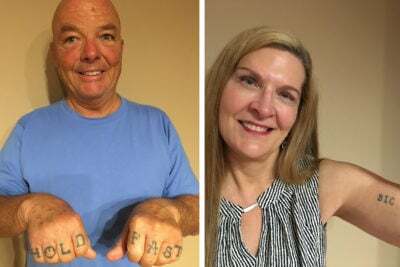 Of the Alliance’s shift in emphasis, Kirk Smith said he didn’t know whether to laugh or cry. Smith, the professor at Berkeley, said he had begun to realize that propane cookstoves could be better for people’s health and the environment than biomass cooking as early as 1994. He crystallized his concerns in the journal Science in 2002 with what he now says was an intentionally provocative commentary titled “In Praise of Petroleum?” “Rather than excluding petroleum, some of this one-time gift from nature ought actually to be reserved to help fulfill our obligation to bring the health and welfare of all people to a reasonable level,” Smith wrote. The main reaction at the time? “I never got so much hate mail,” he recalled. That resistance has proved stubbornly persistent, Smith said. Those interested in clean cooking efforts have spurned propane simply because it seems politically incorrect. He called the Alliance’s enduring and expensive belief in biomass stoves of a piece with that history. “The major international and bilateral development agencies and donors have either ignored or unofficially opposed providing clean fuels to the world’s poor on flimsy and I would say unethical climate grounds,” Smith said in an interview. For Smith and other disappointed advocates in the fight against household pollution, the story of the Global Alliance for Clean Cookstoves seems depressingly familiar — another tale of well-meaning Westerners keen to help poor people in the third world, ignoring evidence that their methods might be ill-conceived. 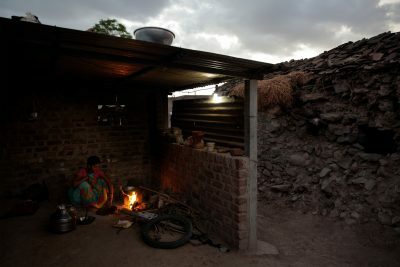 Priyadarshini Karve — a noted Indian designer of low-emission stoves, including the now-abandoned stoves in the village of Nandal — said she’d focused too much on funders’ fuel-efficiency standards and not enough on what actual women cooks sought in a stove. The Alliance brought resources and a spotlight to the effort, but she questions how much it accomplished. Andrew Revkin contributed to this report.